Please study the user guidance in detailed for proper operation. This guidance is applicable to all of our green lasers . Any questions or advisement please kindly consult our dealers for more technical and new product information. Never put the battery in opposite polarity . For stable capability 3V Lithium Battery is recommended. It is Suggested that continuous use never exceed 30 Seconds. Although it is waterproof, yet if used for diving, please for god’s sake to check the whole parts are locked up fully. If dirty the lens by carelessness, please take off lens by forceps,then wash it, dry up and install it back. 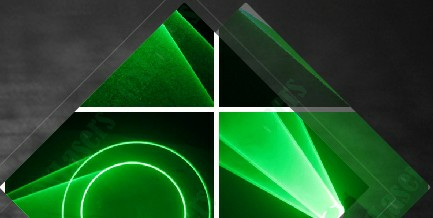 Optical power: 50mW, ALSO 100mW,150mW 200mw AVAILABLE!!! 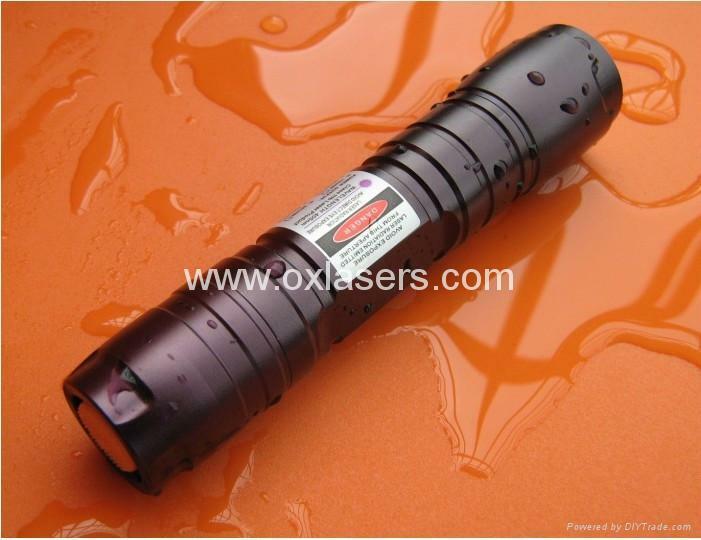 Laser beam should be far from the eyes of human beings and animals in using. 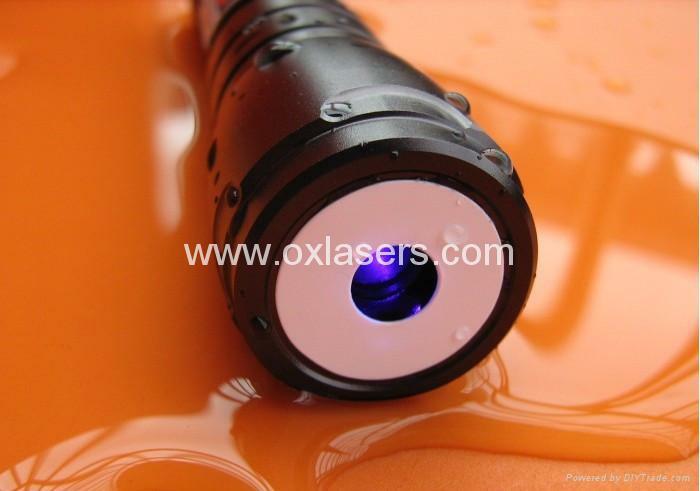 Avoid any of fierce bump or punch which will cause the uncovered damage on lasers’ optical system. Please keep away from the children, If necessary, please operate under the guide of grown-up. 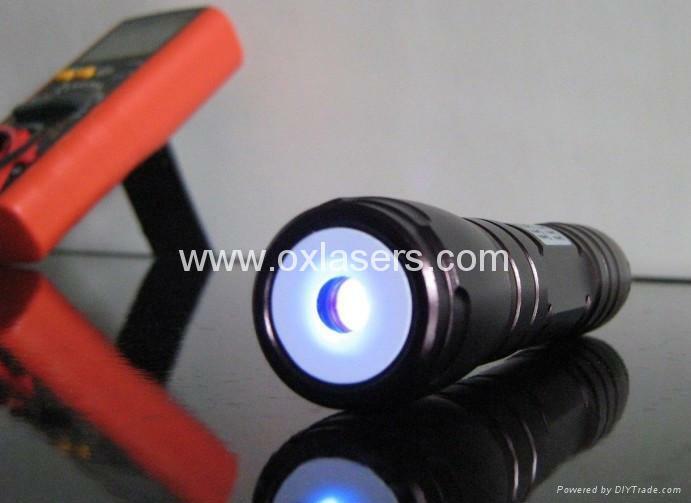 Never use any unsuitable battery for power supply since the over voltage will damage the flashlight. safe norms of the lithium battery. Please take out the battery and keep it in the anti-static dry &dustproof place if not use for a long time. 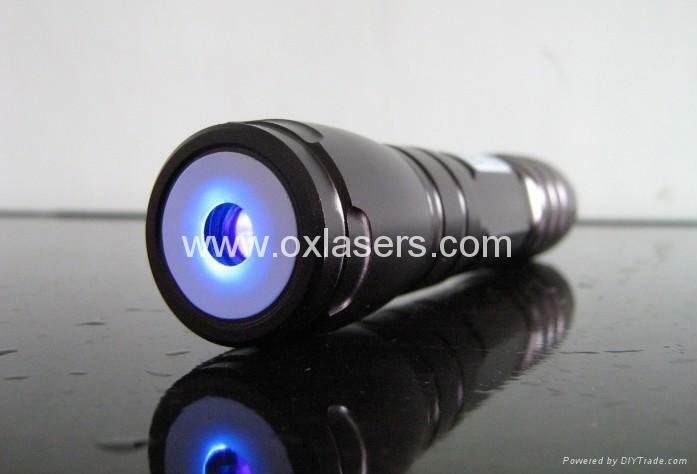 405nm blue laser pointer or purple laser pointer/violet blue laser pointer are one of the most special protable laser pointer in the market. 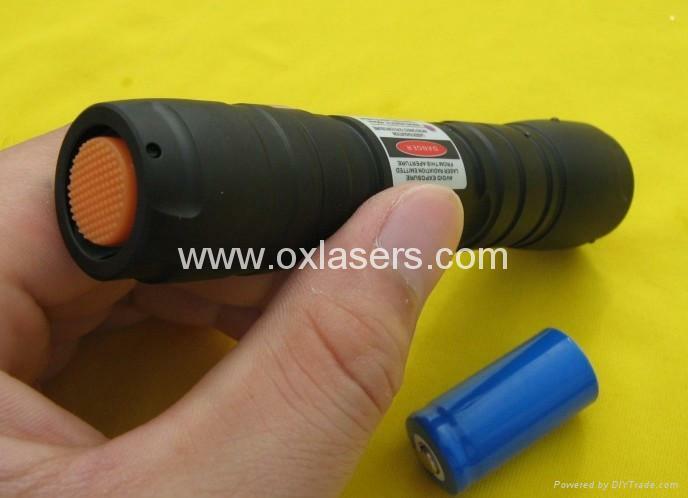 it is not that bright as green or red laser, but when you point it at a white object, it will show really bright!! !